The Everfresh crew's Fitzroy masterpiece. The Everfresh crew has long been among my favorite band of street artists. Maybe it’s because Phibs and co have frequented my Fitzroy hood for years, including the most ambitious and magnificent group artwork in the suburb, on the side wall of The Night Cat (pictured). So it was a surprise to be walking to Little Big Shots, our kids’ film festival at ACMI in Fed Square on the weekend, and find the Everfresh crew had set up studio in a fishbowl gallery space attached to the Ian Potter gallery. It was kind of nuts. Here was Phibs, Rone, maybe Makatron talking passionately to punters about their artwork, which was spread across the walls, from major pieces to a montage of influences and bite-sized arty chunks. 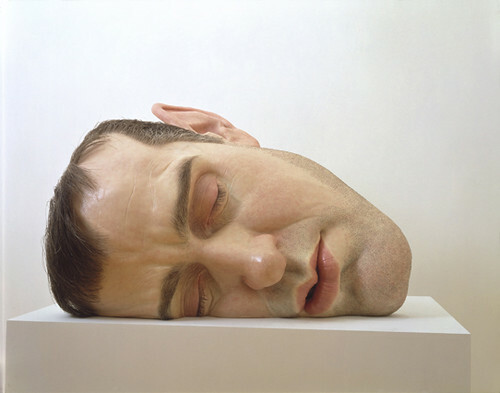 A gallery security guard hovered, protecting the art. And yet, directly across Flinders Street, a few metres west from Hosier Lane, a high rise car park features a bland, slightly grubby white wall and I couldn’t help but think that the Everfreshers would be arrested and fined thousands of dollars if they attempted to decorate that wall with their distinctive art. Yet here was Everfresh on Saturday, being feted by the establishment, while Melbourne Street Tours (highly recommended btw) quietly show off the remaining Banksys in town and tourism advertisements regularly feature the artwork of our lanes. Makatron's giant fish. 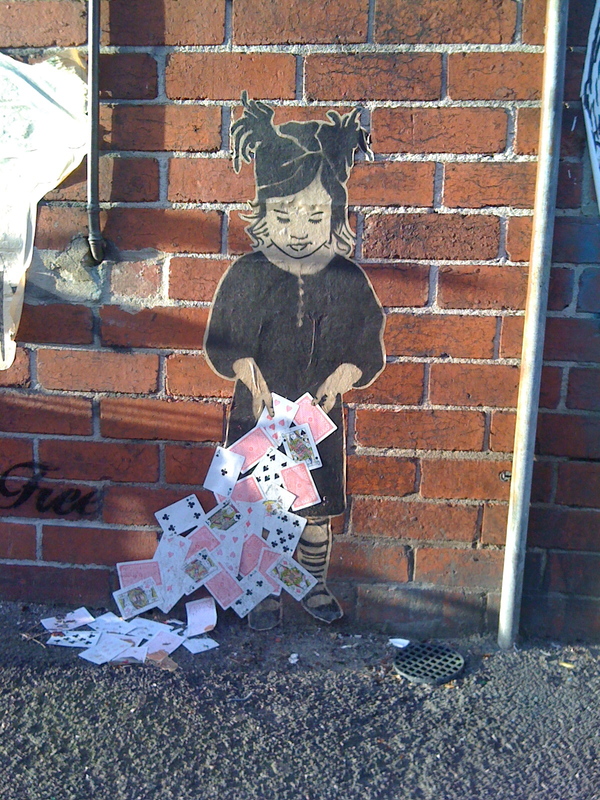 Smith St, Collingwood. Melbourne has always been about juxtapositions, which I usually love (anti-graffiti laws excepted). The diversity and willingness of locals to wear more than one hat is one of the reasons I adore my city. On Saturday night, the celebrated northern skater, Hotcakes Gillespie, and I went along to a class at the Chez Regine bar, on one of my favorite subjects: whisky. It was a cracking hour: learning all about the malting process and peat and the island of Islay (pronounced Eye-lie) and Tasmanian whisky and American rye. We sampled some very fine and occasionally rare international whiskies and learned plenty. Alongside us were some guys in Hawthorn scarves, on their way to the Hawks-Cats game. I loved that in Melbourne you could attend a serious, intense whisky tutorial while en route to the MCG for the footy and nobody blinks. It was that kind of week for me too. Mixing art and sport, hockey training and the gym with a fantastic Little Big Shots festival, loaded with great kids films and sold out sessions. It meant I haven’t skated much (so much for getting ready for Judgement Day), apart from Wednesday, which was, as previously mentioned, a solid if unremarkable session for me. But sometimes you need to let creativity and art dominate. I’ve never understood Melburnians who sneer at our football culture, who write off the sport because of a few misbehaving knuckle-draggers who dominate tabloid headlines. To me, to truly live in this city, you need to embrace Melbourne’s sporting passion and artistic culture. You don’t have to barrack for a team; you just have to respect the passion running through the town. I would no sooner give up wandering the various galleries, give up Heide and the NGV and McCubbin, Mueck and Brack, than I would turn my back on being at the G among 60,000 people, stirring as one as Richmond builds off half-back, Deledio finding Dusty Martin who wheels around and now the Tiger forwards are scattering and we are all looking for Jack Riewoldt as he sets himself to fly. Or than I would give up the crazy, insular but friendly world of Melbourne Ice and the wider Icehouse community, devoted to a northern hemisphere winter world in a city that can hit 40 degrees in summer. 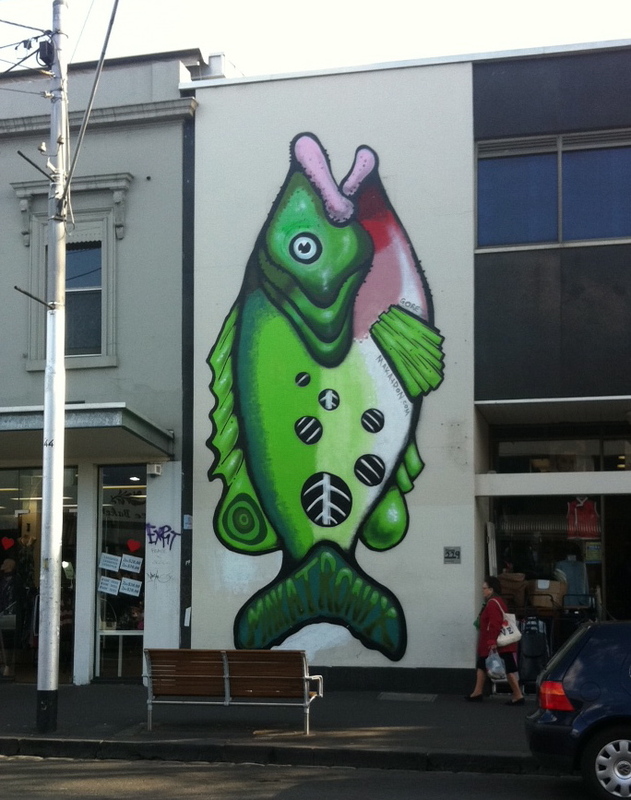 Or than I would give up smiling as I walk along Smith Street, Collingwood, and see the latest, huge, colourful Makatron fish (took him two and a half hours early on a Sunday morning apparently … cops missed it. Hilarious) or greet the little Be Free card girl who is popping up around town. So, long live Everfresh, as an accepted and loved part of my city! Let them paint that bland white car park wall without fear of arrest. Then let’s all cross the road to see Little Big Shots or the looming Animation Festival. Then let’s all go to the footy. Then let’s go hit some pucks. Which is mightier out of the pen and the sword? Who cares. We don’t have to choose. Carry your sketchpad and your hockey stick, your Sherrin and your novel draft. This is Melbourne.